Our 200 year old cottage retains all the quaint charms of days-gone-by, but has all the amenities and comforts of a modern home. It’s a lovely and tranquil retreat in highly sought after Stow-on-the-Wold, one of England’s most picturesque villages in the Cotswolds, reachable by car or train. Train station is ten minutes from nearby Moreton in Marsh with bus service to Stow. Train ride is just 1 hour and 20 minutes from London. Within the village are The Royalist, the oldest inn in England, and St. Edward’s, one of the great wool churches, as well as the Toy and Collectors Museum. Stow has wonderful boutiques and galleries, excellent restaurants and tea rooms, and walking trails through the lovely countryside. Every weekend during any time of the year has something going on in town: antique markets, farmers markets with local produce, etc. This warmly intimate two bedroom cottage has designer furniture, beautiful original art, antiques and a wood-burning fireplace to keep it cozy. The newly carpeted and painted living room features a 32 inch plasma television, SKY satellite programming and a DVD player. Enjoy music on our CD/Stereo/Digital Radio System while seated on our custom made corner sofa or a wing back armchair and foot stool. The charming kitchen and dining area has been fully updated with new appliances including a fridge, electric stove, dishwasher and microwave as well as a gourmet’s cookware and utensils. Set the dining table for four with colorful glasses from our crystal cabinet. Washer and dryer on premises. The master bedroom features a king size bed. Guest bedroom has a double bed. Luxurious linens are provided. The fully modernized bathroom features a separate shower and a large tub for a satisfying and soapy plunge. Outside the house is a lovely, gated garden with a deck and outdoor furniture for four and ample street parking. A telephone is provided as well as wireless Broadband Internet. Clean, well behaved dogs are welcome by prior arrangement - sorry, no cats. Smoking is not allowed inside this home. This central location in the Cotswolds is close to the area's other famous villages of Moreton-in-Marsh, Chipping Campden, Burford, Upper and Lower Slaughter and Bourton-on-the-Water. 25 minutes away are Cirencester, Cheltenham and Stratford-Upon-Avon. The cottage is beautifully appointed and has everything you need for your stay. It is cozy and charming and all we wanted to do was to stay forever. Just like the photos show. Easy arrival access to the cottage too. Comfy furniture and wood burning stove and beds are great too. Just couldn’t be better. Well, maybe if it was ours! It’s a few steps away from the village, where anything is available. Short driving distances to other villages. The owner left lots of Information regarding restaurants and trails and other villages. He is so accommodating. You’ll love it. Thanks so much Sue for your kind words and lovely review. So glad you enjoyed your stay and really hope to have you again in the near future. 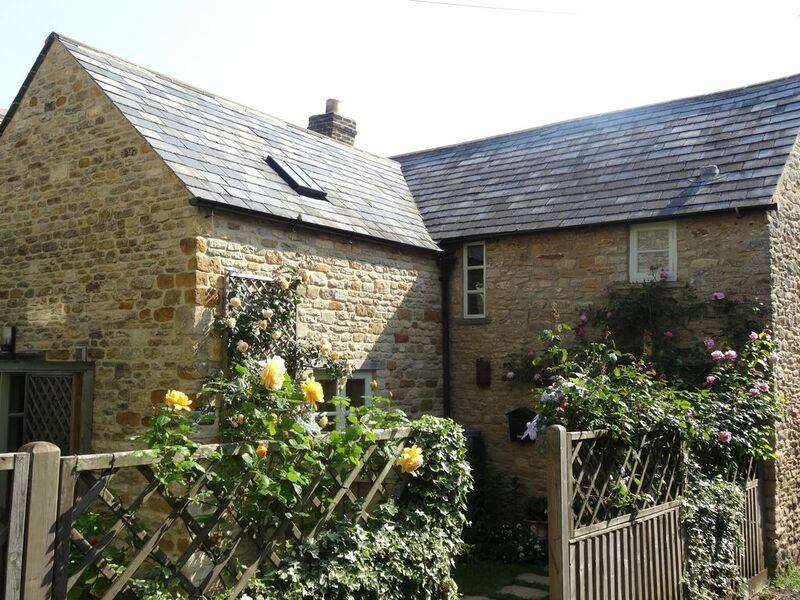 A little gem of a cottage perfectly situated for a 5 minute walk into the centre of Stow on the wold. Beautifully decorated cottage with everything there to make for a perfect break (the complimentary bottles of wine much appreciated). There's so much to see and do, walks short and long, the next villages within easy walking distance. Spoilt for choice for eating out, the Queens Head became our 'local' but Carter's Cottage has everything if you decide home cooking is a better choice. Loved our weekend here and would be back in a heartbeat. Thanks both, we will see you again. Thank you very much Nigel for your kind words, glad you enjoyed your stay. We look forward having you again. My aunt and I recently took a one month trip to England and I booked various self-catering cottages around the country. Carter's cottage was, by far, the best place to stay. It was not only in a beautiful, quiet setting, it had everything we could possibly need to make our dream holiday perfect in every way. It was fully equipped, cosy, close to shopping and walks in the country and the owner had a handy man available if anything at all needed fixed. Thank you for providing the highlight of our trip! Thank you very much RoseMarie for your kind words, so glad you enjoyed your stay and I look forward having you again in the near future. We had a very nice time here. The cottage was neat, clean and well-stocked with daily supplies. The area was quiet and just a few minutes walk from the town centre. Overall, a very pleasant stay., happy to recommend. Thank you Aryan, glad you enjoyed your stay. Hope to see you in the near future. As soon as you open the garden gate the cottage definitely has the wow factory the garden is beautiful. The cottage itself is comfortable, cosy and well equipped. We had our dog with us and there are many lovely walks from the doorstep and welcoming good places to eat and drink within walking distance, poor dog was exhausted. The boiler was a bit temperamental and could do with looking at but didn't cause us a problem it just needed resetting a few times. I'm quite picky and there were a lot of cobwebs but that's probably expected in such an old cottage. 2nd bedroom needs thicker blinds but at least the light made our teenager get up before lunchtime! The cottage really is absolutely wonderful and anyone who gets to stay there really is very lucky, I wouldn't hesitate recommending it. Thank you for letting us stay. Thank you Sarah for your kind and constructive review, we just installed new blackout blinds, we are so pleased you enjoyed your stay and looking forward having you again in the near future. We spent a week here, taking some day trips out of Stow-on-the-Wold, but also thoroughly enjoying the days we stayed just in Stow. We depended on public transportation, and sometimes wished that the local bus was more frequent, but we still managed to get out and about. We also arranged a day with Ken Fowler Tours out of Burford to see more Cotswold villages. There were two grocery stores within walking distance, of our cottage, and we also enjoyed eating many meals at pubs and tea shops in the town square about five minutes away. There are many nice country walks practically outside the front door. In May, the cottage looks much more cozy and romantic than in this winter shot - with vines and flowers and birdsong. We loved pretending we were living in another simpler time, but with modern plumbing and heating, a dishwasher, and a combination washer-dryer - a laundry appliance that is rare in the USA. We were a bit flummoxed by the shower and never figured out how to get warm (rather than scalding hot) water out of it, and had to call the handyman for help with the heating system the first day, but everything else was a pleasure. The cottage has a comfortable lived-in feel, with plenty of art, whimsy, and personal touches. The beds were so comfy it was hard to get up in the morning. Of all the places we stayed during our holiday, this was our favorite.